The HSM Powerline 450.2 1503 (formerly known as the 450.2 Professional) is a 3.9x40mm Cross Cut shredder. It is a mobile, High Performance Security Departmental Shredder with a large collecting capacity. The HSM Powerline 450.2 1503 has a Removable trolley to exit the reusable waste bag. 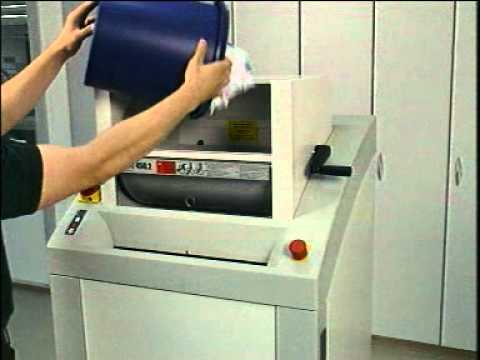 The use of a P-4 shredder such as the Powerline 450.2 will aid your GDPR compliance.